Asian hairstyles | Memorable Days : Beauty Blog - Korean Beauty, European, American Product Reviews. In this blogpost I'm going to talk about Asian hairstyles. 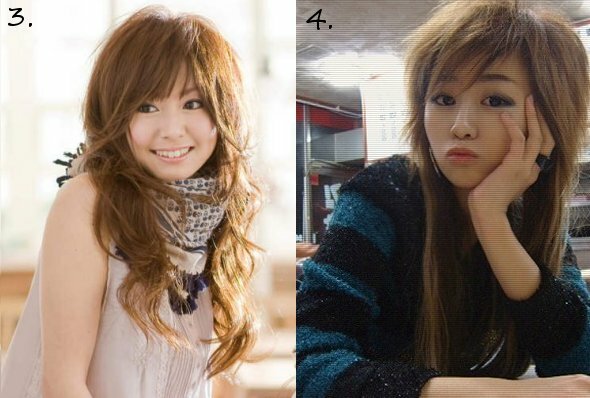 Do you like Asian hairstyles or do you prefer different ones? I know that lots of people have cut it short ^__^. I like short haircuts as well, but since its still a bit cold here, I prefer to keep my hair long. I'm planning to go to the hairdresser this week. I usually bring a picture with me, but I can't choose which hairstyle I want (1,2,3 or 4)! So yeah, I would like to ask you to choose for me xD. Which haircut do you like the most? Do you usually cut your hair on your own? Or do you also go to the hair dresser? pictures found on google, sorry that I took your photo without permission =$ hehe. De eerste vind ik het leukste! 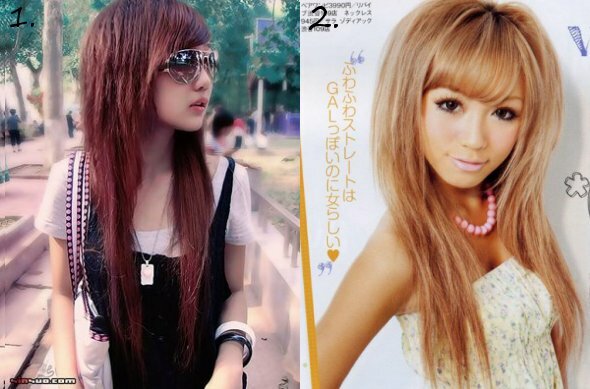 Ugh, ik vind de Asian hairstyles juist niks! Vind het ook altijd verschrikkelijk als mijn haar zo wordt geknipt. Ik vind wel de 3e erg leuk, dat staat zo romantisch! i have my hair cut by my parents haha...and my uncle even noted that my hairstyle has been the same forever and that's its 20 yrs out of date haha...just a chin length bob, so ordinary i don't even notice my hair anymore haha. # 4 LOOKS SO COOL..
:D I GOT A HAIRCUT SIMILAR TO THE 1ST ONE THOUGH. :) NICE. I would pick number 3 because it has less layers so that means if you want to create something you will have less issues with your hair. I love hairstyle number 2! I also think it's because it can easily become number 3 with just a bit of curling here and there =) But I love the hair colour of number 3 more, can't wait to see your new style! oh and to answer you questions, I always go to a hairdresser to cut my hair, even if it's just a bang trim. I seriously don't trust myself with scissors! @hihihi! bob hair cuts aren't out of date !! they will never be xD ! @Ice pandora, waarom heet het zo? het is net als bij kleding, zij hebben een apartere style dan b.v. nederlanders. Ze hebben een andere kijk op kapsels, een andere manier van knippen etc. @Sam, haar doneren??? waar gaat je haar dan heen vraag ik me af o___O"?? I always get envious of how well asian girls pull of their haircuts - I tend to trim my own hair and go to the hairdresser once or twice a year! @Rinny, agrees. Lots of them are similar on that website. lol when i looked at a japanese hair magazine it was the same like that website. They all have the same hairstyle, some have curls, some have different bangs lol..
@Elle, oehhh, how is your new haircut :D ?? These styles are potentially good for a theatrical production. Style # 2 is the best of the bunch.